Arizona law makes all property you or your spouse acquire during marriage community property. However, certain categories of property are considered each spouse’s separate property and exempted from this rule, including inheritances, gifts, and property acquired after the divorce process has begun. Separate property is not eligible for division in a divorce and cannot be taken to pay off community debts. Both you and your spouse have the right to acquire, manage and dispose of community property during your marriage, but these rights do not extend to separate property. Since property or money you inherit while married is considered your separate property under Arizona law, your spouse cannot control that property. Rather, you have the sole right to manage and dispose of your separate property. For example, your paycheck is community property and both you and your spouse have the legal right to spend it; money you inherited from your grandmother is separate property and your spouse does not have any legal right to spend it. If separate property, such as an inheritance, is mixed, also known as commingled, with community property, it may lose its special status as separate property because it may be impossible to trace back to its original source. To ensure your separate property is not converted into community property because of commingling, you must keep it separate from your community property. For example, if you combine your inheritance money with community money to make a purchase, the inheritance money may become so commingled with community money that a court no longer considers it separate property. Alternatively, if only inheritance money is used to make the purchase, the inheritance will likely retain its status as separate property since an Arizona court will be able to track the purchase back to its origin as separate property. Arizona allows you and your spouse to enter marital agreements, signed either before or during the marriage. These agreements are intended to determine how property will be divided in a divorce and may be beneficial if you have an inheritance or other assets you wish to specifically protect should your marriage later end in divorce. 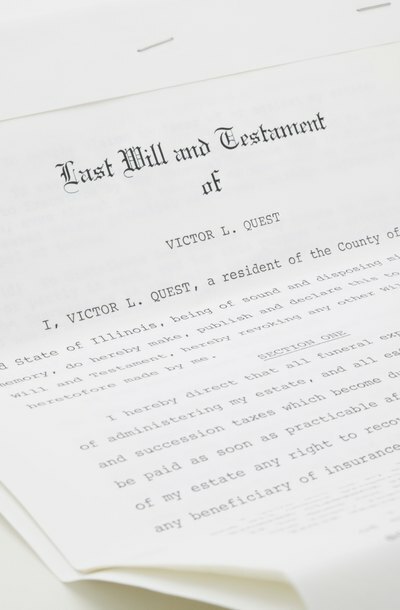 For example, if you intend to use both inheritance money and community money to purchase a house during your marriage, you could use a marital agreement to determine which spouse will receive that house if you later divorce. However, marital agreements must meet Arizona’s requirements to be enforceable so you should consult with an attorney or legal services provider to develop an agreement specific to your situation.